Colorado Business Roundtable has their upcoming Awards Luncheon. 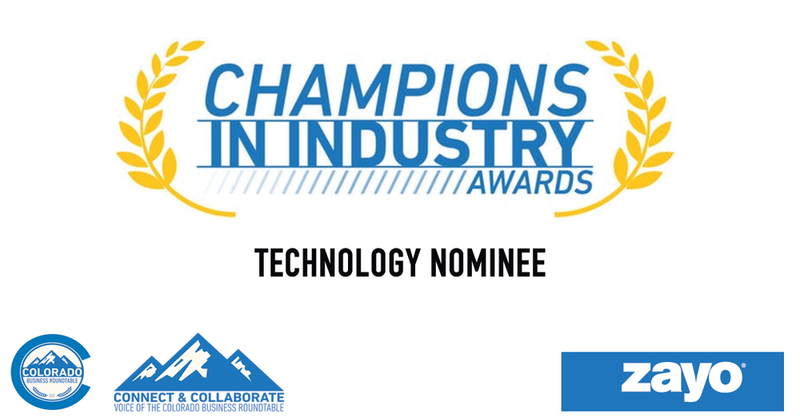 This year the focus is on Champions in Industry. Today’s guest is one of our nominees in the Technology category, learn all about Zayo Group from Dennis Kyle. Listen LIVE at 4:30 on Denver’s Money Talk 1690 AM, or watch our livestream at cobrt.com/live.